Established in 2004, Arium School of Arts& Sciences (ASAS) objective is to offer quality and affordable educational programs that meet the needs of students, through our linkages with regionally accredited UK institutions. ASAS is an approved Authorized Training Organizations (ATOs) by SSG (Skillsfuture Singapore) and is the appointed ATHE Center (Awards Training for Education and Higher Education) in Singapore. ASAS was also awarded the Promising SME 500, 2013 Brand by the Small Medium Business Association of Singapore (SMBA). All of ASAS programs and courses are SkillsFuture Credit claimable. SkillsFuture Mid-Career Enhanced Subsidy and Workfare Training Support funding is also available for selected programs. In Year 2013, Arium School of Arts & Sciences (ASAS) was awarded the Promising SME 500, 2013 Brand by the Small Medium Business Association of Singapore (SMBA). 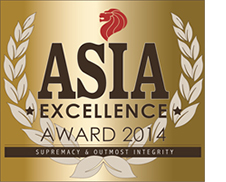 This year May 2014, ASAS was also awarded the Asia Excellence Award 2014. Asia Excellence Award is a recognition given to local companies based on quality products, commendable services rendered to the public and its contributions to the economic development of Singapore.